​​In 2018, Monique Lane published an article in a special issue of The Urban Review with her colleague, Dr. Sherell McArthur. Through an explicit focus on love as a central tenet of authentically caring and healing pedagogies, this article promotes a more complex understanding of how entangled social identities influence learning. 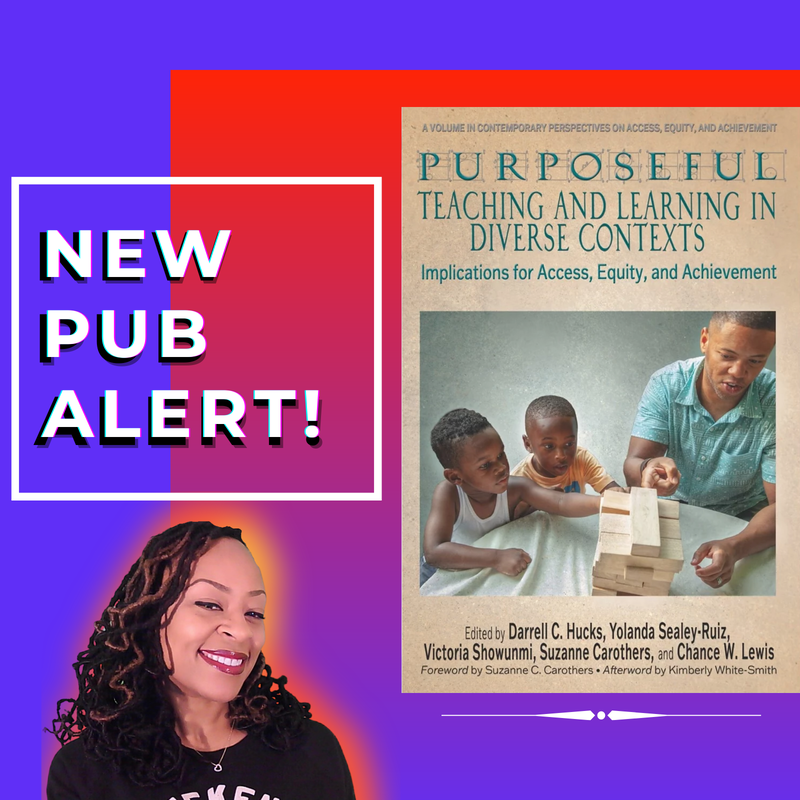 Specifically, the authors highlight two qualitative research studies that applied Black feminist praxis to non-traditional urban classroom contexts to facilitate young Black women’s social and intellectual empowerment. By situating the analysis of Black girl learners at the center of each study, the research described in this article positions youth as experts of their sociopolitical location, and empowers them to push conversations around educational equity forward in the service of all marginalized youth within the public education system. The full citation is listed here. Check out Dr. Monique Lane's (2018) article in the International Journal of Educational Reform (full citation here). The article examines the concept of a politicized ethic of care, a teaching philosophy that is commonly rooted in the pedagogies of exemplary Black women teachers. Data from a more extensive study of a girls’ empowerment program at a public high school are used to argue in favor of this pedagogical tradition, which has been proven to facilitate African American girl learners' development of positive social identities and improved educational persistence. Dr. Lane challenges Western and gender-neutral approaches to caring for urban Black girls through an inductive analysis of curricula, in-class video footage, student artifacts, and interviews with former participants. Implications for teacher education research are also presented. Congratulations to the Master of Arts in Teaching Leadership graduating class of 2018! I have had the immense pleasure of growing with our Teacher Leader candidates during the 2017-2018 academic year. Over the course of twelve months, MATL candidates explored the personal beliefs that guide their practice, conducted a formal action research study, and expanded their development as teacher leaders committed to promoting educational equity. Completing our rigorous program is an outstanding achievement, and I wish you a very bright future! Interested in learning more about SMC's innovative Master of Arts in Teaching Leadership program? Click here for additional information. The Women's Resource Center at Saint Mary's College hosted a Tribute to Women of African Descent luncheon! A panel of women (students and alums) from the SMC community shared their stories of negotiating struggles associated with their intersectional identities. SMC faculty, staff, and students had the opportunity to learn from these brilliant scholars, who challenged our constructions of contemporary Black femininity and reified the importance of Black women's presence on campus. Monique Lane had the immense pleasure of presenting at the People's Education Movement's inaugural Intersectional Ethnic Studies Conference in February 2018. The conference was a collaboration between California State University, Fullerton, California State University, Dominguez Hills, and the People’s Education Movement. Attendees included justice oriented pre-service and in-service educators from both campuses, as well as other education stakeholders in the South Los Angeles community. Dr. Lane was honored to co-present with her former student, Shantell Jones, in a session titled "Unleash Your Inner Badass: A Black Feminist Perspective on Practitioner Care." Monique was also surprised to run into another former student, Unique Smith, who participated in the curriculum fair. Check out Dr. Monique Lane's (2017) article in Equity & Excellence in Education. ﻿​Monique Lane is an Assistant Professor at Saint Mary’s College of California, in the Department of Leadership. The university's mission and core principles - primarily the concern for the poor and social justice - was an important determinant in choosing Saint Mary's as an academic home. 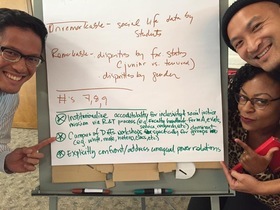 Below, Monique is pictured advancing the school mission of inclusive excellence with Saint Mary's colleagues, Dr. Michael Viola (left) and Dr. Clifford Lee (far right). Learn more about the Kalmanovitz School of Education and the graduate programs in Educational Leadership here. 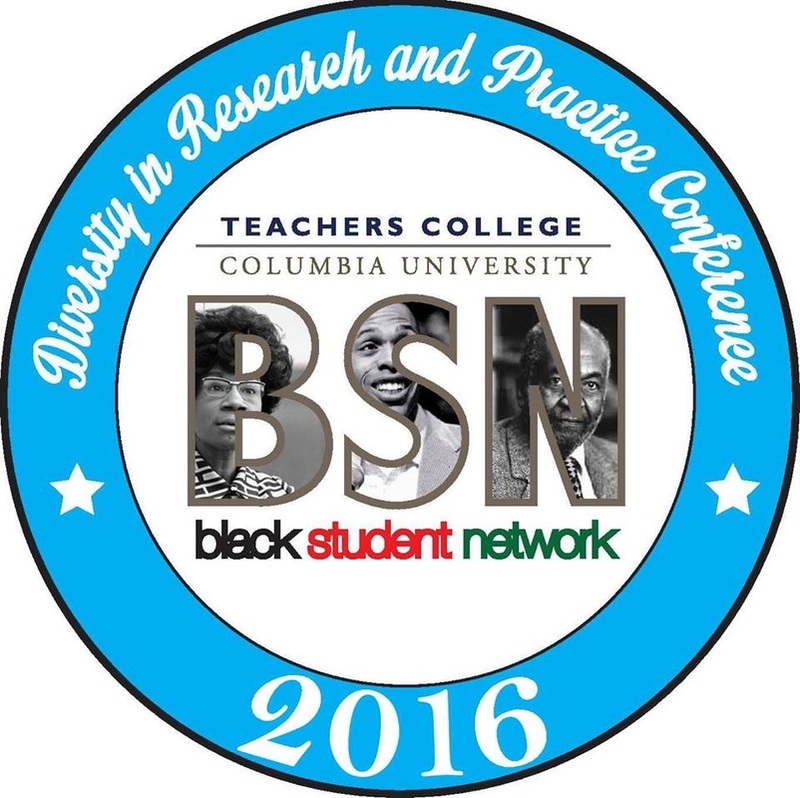 Monique Lane had the great pleasure of serving on a panel at the 2016 Diversity in Research and Practice Conference, organized by the Black Student Network at Teachers College. and still we rise conference 2016! Dr. Monique Lane inaugurated And Still We Rise Conference on Black Girls and Women in Education in 2016. Commencing at Columbia University's Teachers﻿ College, this daylong professional development drew scholars, K-12 youth, and stakeholders from across myriad disciplines—social sciences, life sciences, public health, and public policy—to share current research findings on Black women and girls in educational contexts. And Still We Rise Conference 2016 was critical and celebratory, as participants engaged in dialogue around the injustices burdening Black women and girls in the realm of education, as well as highlighted current healing practices, policies, and political movements that advance tangible interventions on behalf of this population. And Still We Rise Conference 2016 was a home run for Teachers College and an important step in advancing educational justice for Black women and girls! Click here for more information about this important event. In the summer of 2015, Dr. Lane taught a highly anticipated seminar on the educational experiences of African American female youth in K-12 schools. The course, entitled "Peril and Promise: Black Female Education and Literacy in American Schools", was offered by the Arts & Humanities Department at Teachers College, and available to Masters and Doctoral students across numerous programs of study. Critical race feminism, postmodernism, and Black feminist theory provided an important lens through which students explored African American girls' race-gender stigmatization, agency, and resilience in traditional educational contexts. By critically illuminating the schooling patterns of African-American female youth, this course challenged students to rethink dominant narratives around Black femininity and the notion of equal opportunity in U.S. K-12 education. ​Black Girls and Women in Education in April 2015. YPAR WITH CYPHERS FOR JUSTICE! ​In the spring semester of 2015, Dr. Lane co-facilitated a youth workshop with U.S. State Department Cultural Ambassador, emcee Hired Gun, entitled, "Ladies First: Hip Hop and Gender." 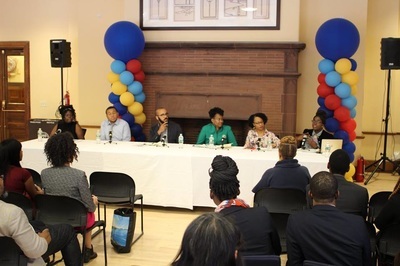 Hosted by the Institute for Urban and Minority Education at Teachers College, this 16-week course assisted students in conducting youth participatory action research projects (YPAR), while using hip hop to articulate their findings. Connecting scholars to the oral and social justice traditions that co-exist within hip-hop culture - from a female perspective - empowered individuals to identify the art form as a useful tool for inspiring social activism. janrah: education, entrepreneurship, & empowerment! ​Dr. Lane serves on the founding board of directors for JANRAH, a girls empowerment program of the Social Justice Learning Institute in Inglewood, California. 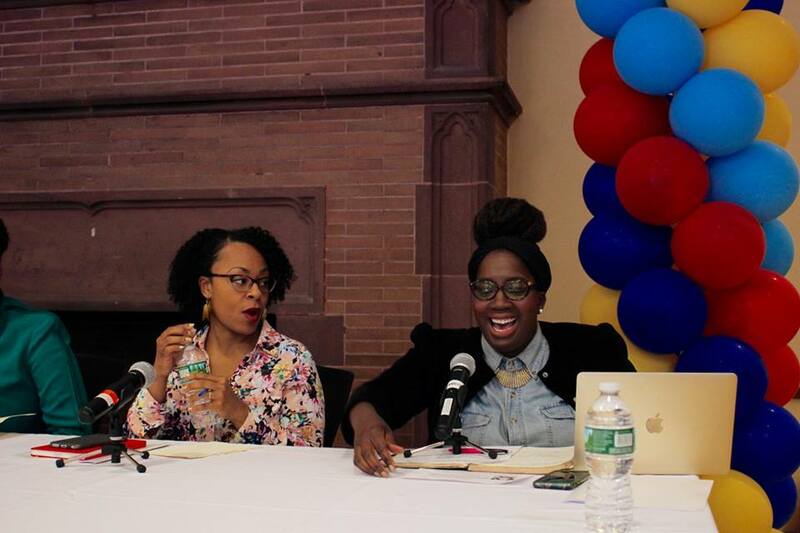 The organization is a feminist response to the inequity of supports for young women of color in urban communities. This unique organization offers numerous resources for these youth as they pursue their educational and life goals. Click here to access the JANRAH website directly. 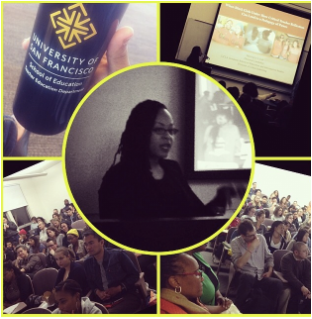 Monique Lane was an invited speaker at the University of San Francisco on April 15th, 2014. Her lecture, entitled " When Black girls unite: How critical teacher reflection can lead to a pedagogy of power", provided a framework that educators could utilize to bridge the gap between critical theory and classroom practice. Monique would like to thank the Urban Education and Social Justice (UESJ) Program, the Teacher Education Department at USF, and the Center for Transformative Teacher Training for hosting this phenomenal event.